Abhaya mudra variation. This hand gesture is said to promote feelings of peace, protection and no fear when held for some time in meditative stillness. No fear is exactly what we need during this summer's season of wild growth. 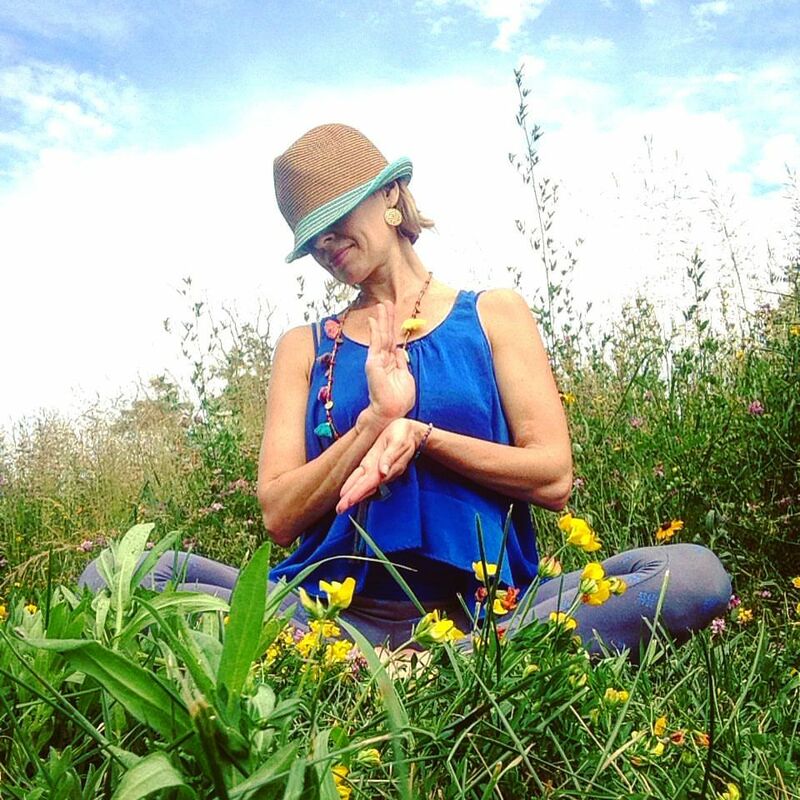 Access your calm and courageous side by sitting still with this hand gesture for a minute or two and notice what you feel when you're done. Please visit www.birchwoodcenter.com to learn more about this beautiful riverside yoga school in the artistic and scenic Nyack, New York. 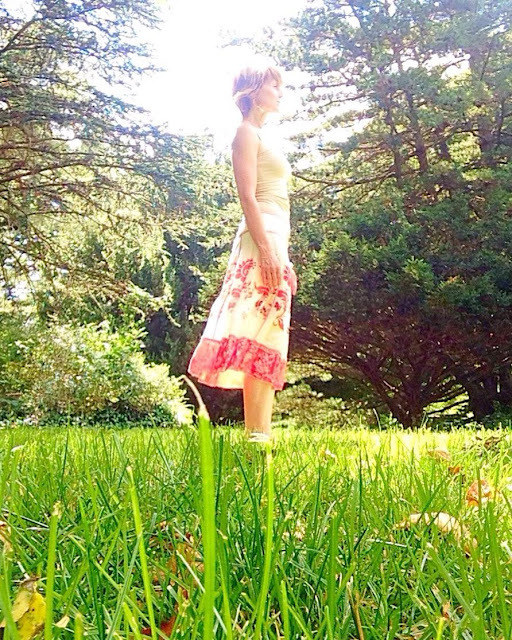 There's a New Age term for bare footing in nature and it's called earthing. Earthing means walking barefoot on any natural non concrete surface such as soil, grass or sand. I believe what keeps most of us from earthing outdoors is the fear of stepping on something sharp and cutting ourselves. Therefore I suggest finding a patch of grass or a dirt path that you feel is glass free where you can put your fears to rest as you kick off your shoes and feel the earth underneath you. Early scientific studies are showing that something as simple as going barefoot and walking on grass, soil and sand allows electrons from the earth's natural charge to flow freely through our bodies, equalizing our electromagnetic field and other electrical charges in the body. The positive testimonials regarding earthing's health benefits are intriguing. People claim various advantages from earthing such as sleep improvement, a reduction in pain, jet lag, stress and inflammation, which is the cause of most chronic illnesses today in addition to improved immunity, decreases in unwanted symptoms of pre menstrual syndrome, menopause and more. Try earthing for yourself and after a month or so of regular bare footing in nature notice what you feel. This past moon cycle to say the least was super illuminating. 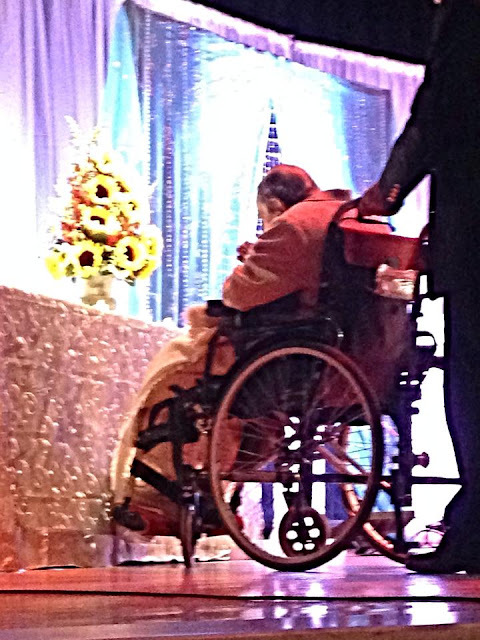 When I met my husband 8 years ago I had the pleasure of being introduced to his Father's Guru, the Rev. 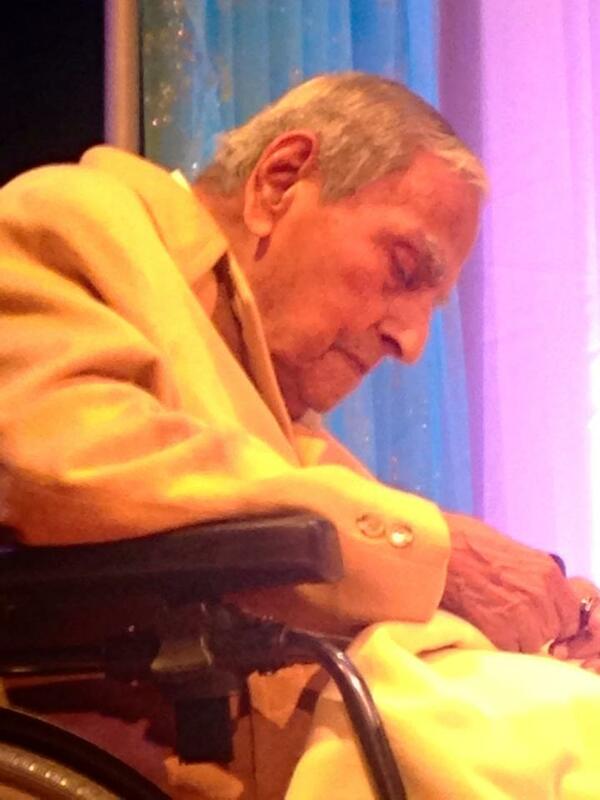 Dada JP Vaswani. 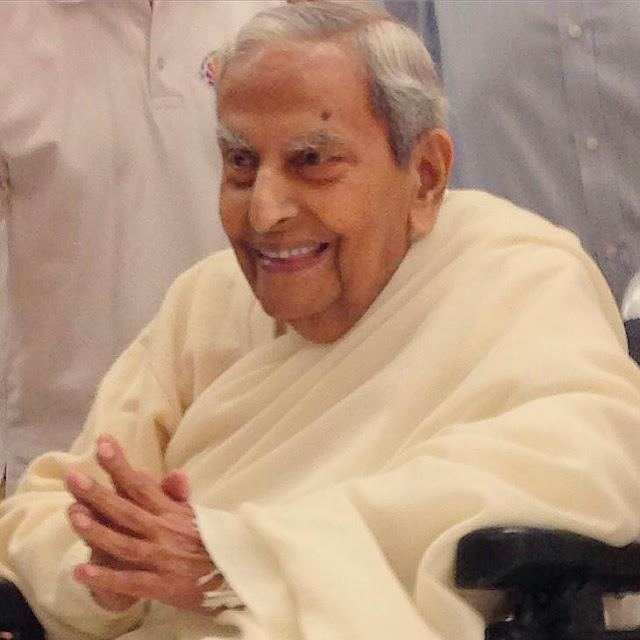 He is a beloved spiritual leader who has founded the Sadhu Vaswani Mission in Pune, India. The work the mission does is aligned with love and service to uplift all including our animal friends with encouraging animal rights. Health care, welfare and beyond both in the East and West has benefited and continues to from the mission's devotees passion to help others. 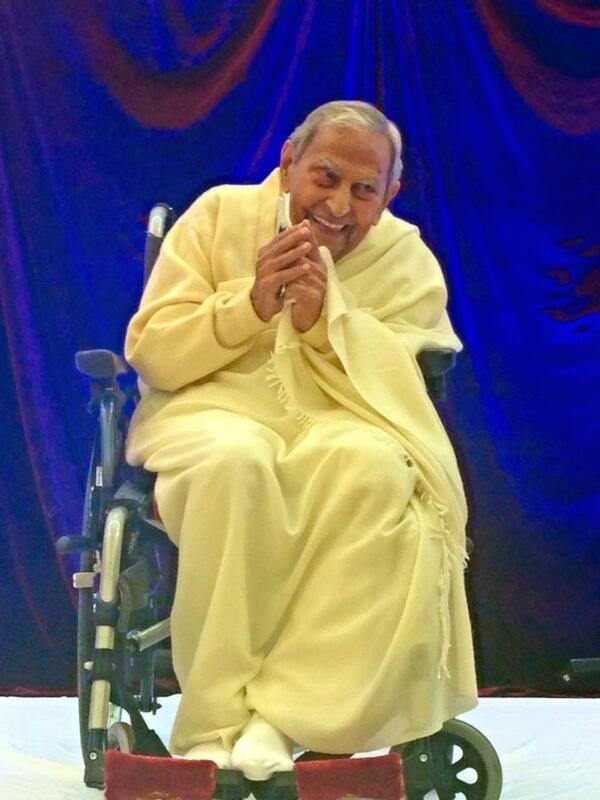 Gratefully Dada Vaswani at the age of 97 and soon to be 98 years of age this coming August 2nd has come to the United States this past May to share his knowledge. In this post I'm sharing my pictures and bits of Dada's inspirational words mixed with my insights from both my Newark, New Jersey Integral Yoga weekend with Dada and the annual Dada Vaswani and Krishna Das wisdom and Kirtan special event called "Empower Yourself" at The Town Hall in New York City. The Rev. 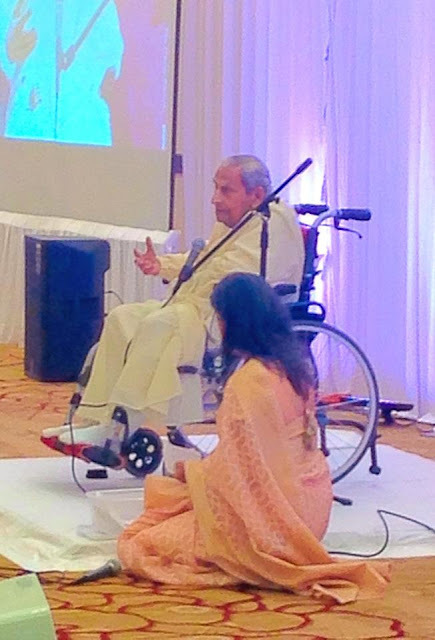 Dada JP Vaswani arriving for Friday night's satsang at The Double Tree Hilton Hotel banquet hall in Newark, New Jersey with Integral Yoga students and teachers from New York City and Yogaville, Virginia. 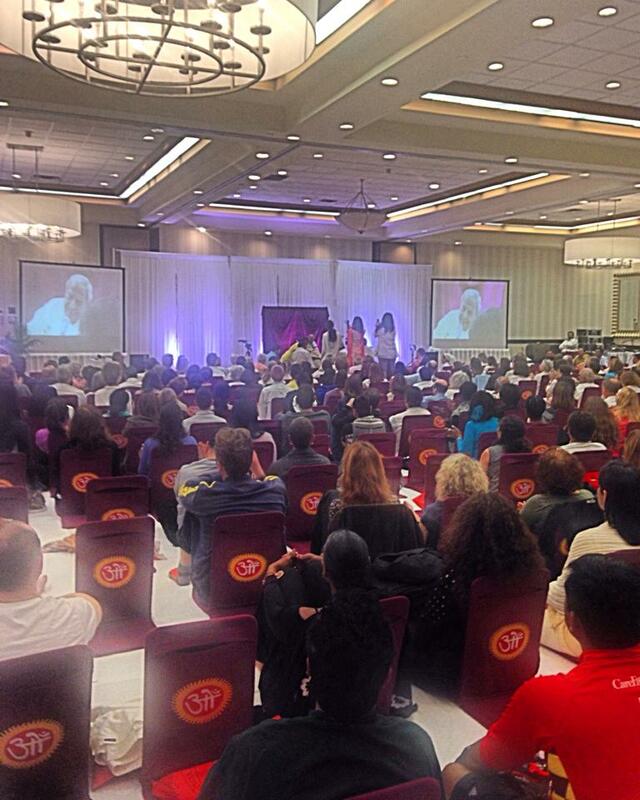 Saturday morning satsang. Here we received valuable insight from both Satiesh Daryanani and Dada Vaswani in making meditation a noun. Our natural state. Here Dada spoke on world peace. He said "If you want peace in the world, all killing should be stopped. If you kill animals what will stop you from killing an enemy? It is time to charter human's rights to animals." Veena Daryanani is pictured here with Dada. 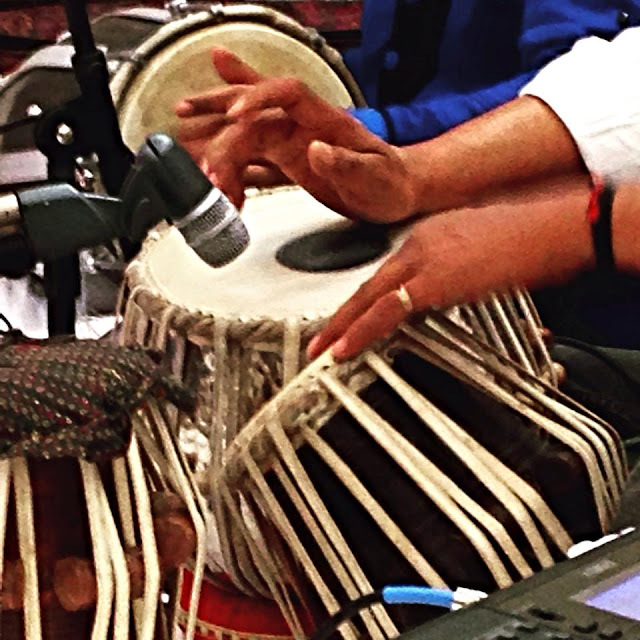 Kirtan, call and response chanting accompanied with tablas and more rocked the house into bliss. After the Newark event I took this picture while on a very long line of grateful people awaiting our individual goodbyes to Dada. He embodies magnificent smiling stamina. My husband Amit Egan Datwani and I in Bryant Park pre The Town Hall event on West 43rd St. in NYC with Dada Vaswani and Krishna Das. 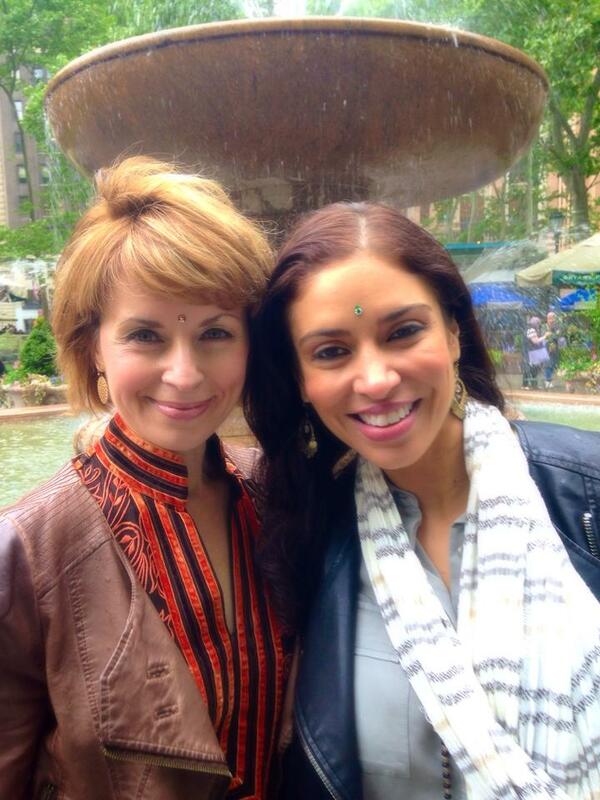 With my friend Dawn Ifill pre event at Bryant Park. 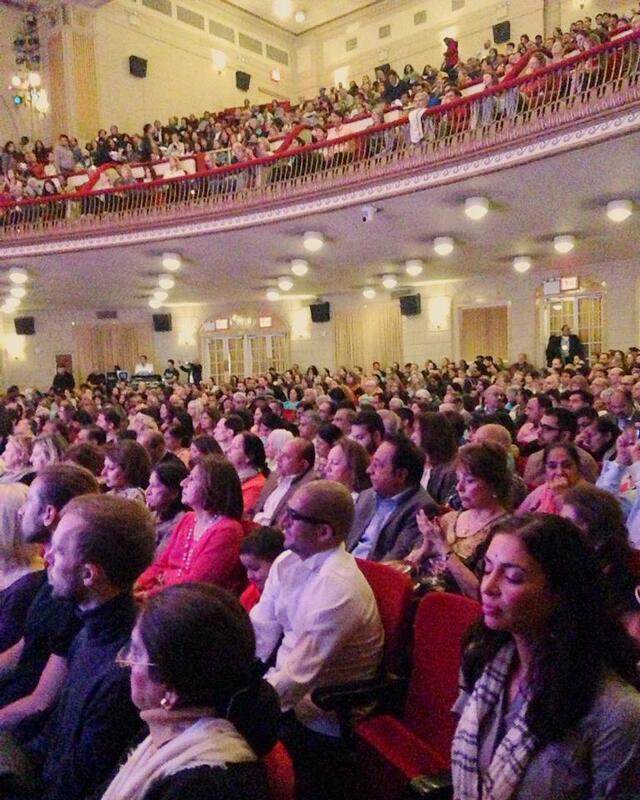 A full house at The Town Hall. I'm so impressed by how before Dada speaks to an audience he sits before his teacher's picture to receive a blessing. 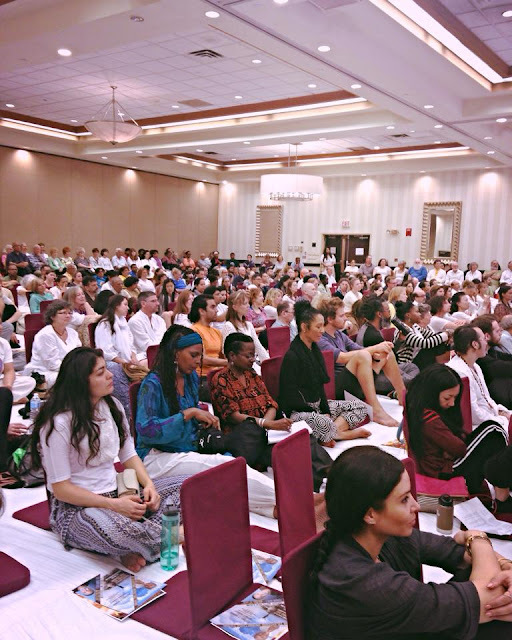 Dada in a deep meditation during Krishna Das' performance. 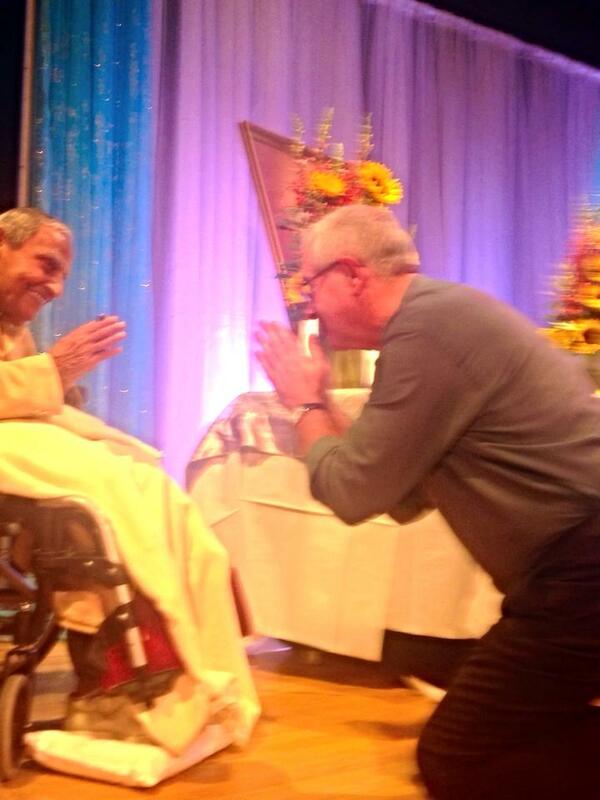 A post event moment with Krishna Das receiving his Guru's blessing. 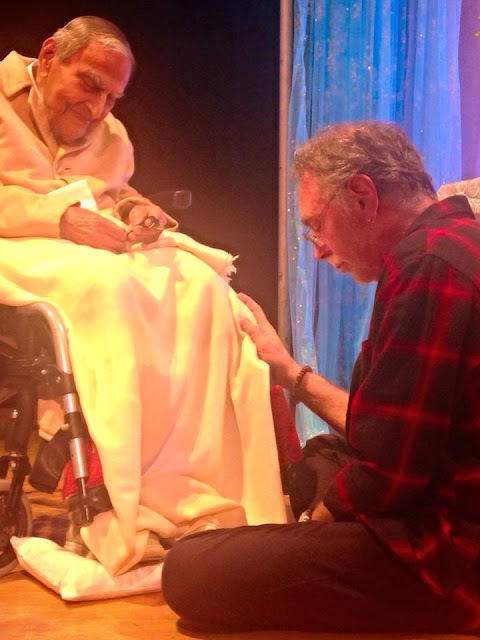 David Nichtern who is Krishna Das' guitarist is shown here with Dada Vaswani. David is also my first formal meditation teacher who I met nearly 15 years ago. 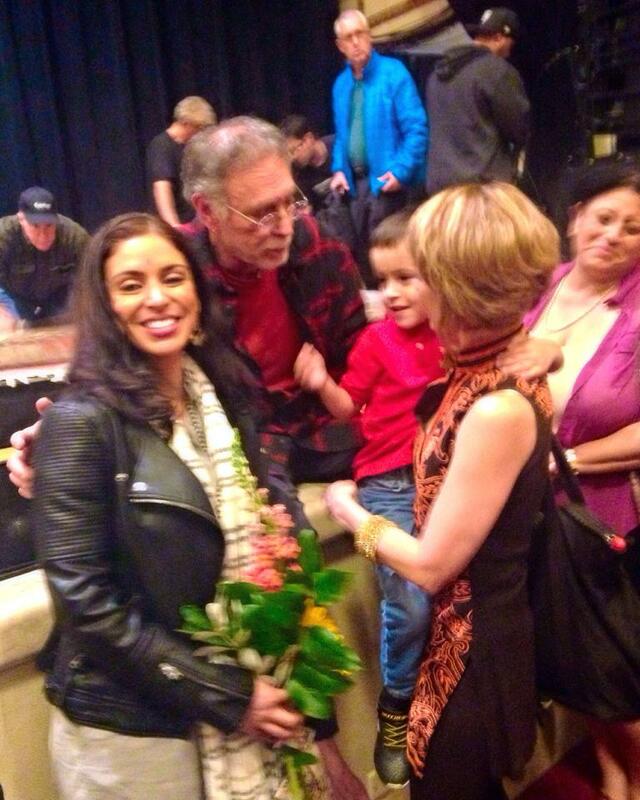 The lovely Nina Rao from Nina Rao Chant and Krishna Das' band awaiting Dada's blessing. Notice the painting of Dada's Guru. I love this picture for so many reasons. 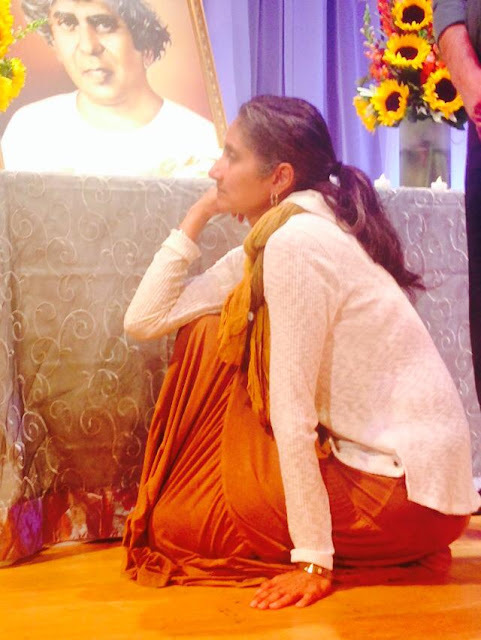 My son Krishna is having a conversation with Krishna Das, my friend Dawn is with us as well as my teacher David Nichtern is standing in the background wearing the blue coat. 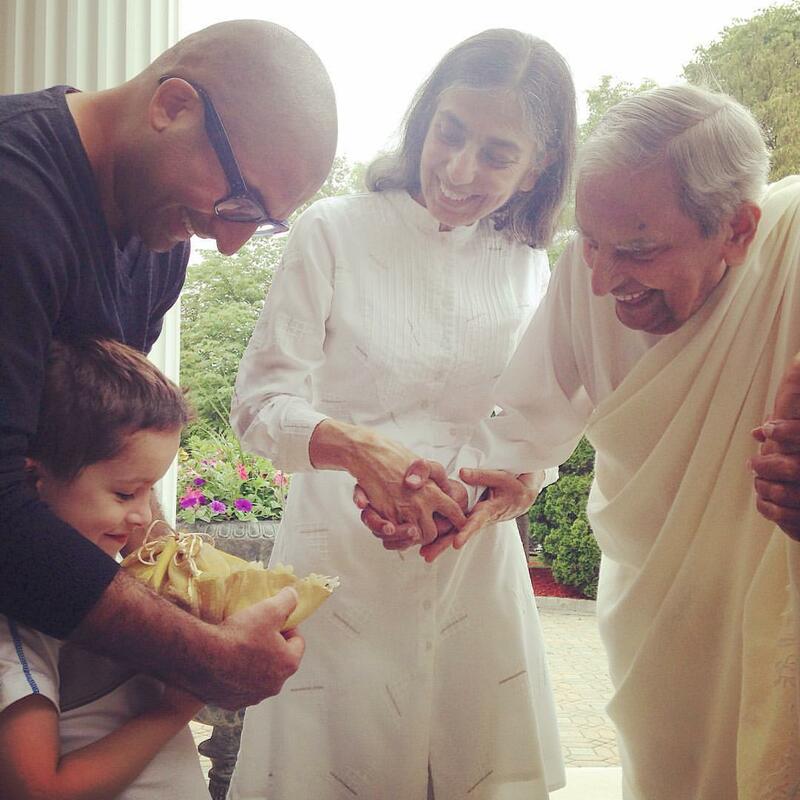 Finally here's my son Krishna receiving a blessing from Dada with my husband Amit and the forever glowing Krishna Kumari, Dada's assistant.